Western Digital and Toshiba had some great news to announce at the International Solid State Circuits Conference (ISSCC) recently as they revealed that they’ve begun initial production of their BICS3 512Gb, 64-layer TLC 3D NAND at their NAND fabrication facility at Yokkaichi, Japan. 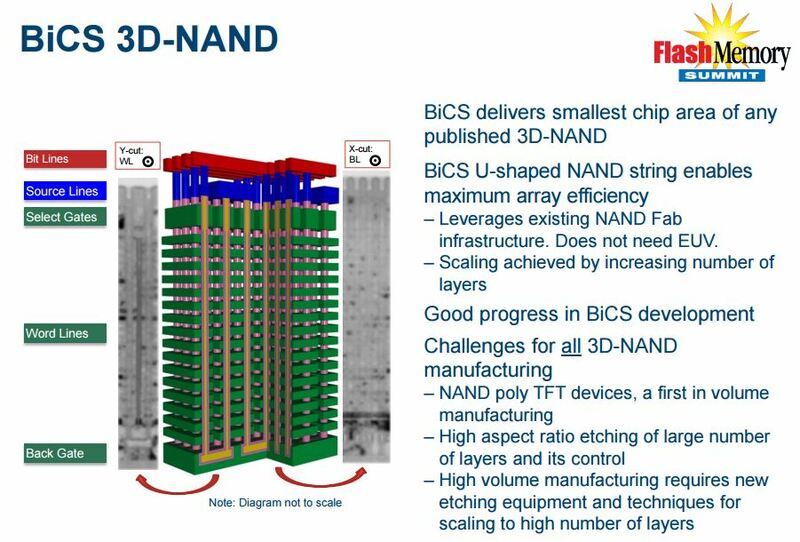 The new 512Gb, 64-layer BICS3 TLC 3D NAND will be the highest density NAND dies announced to date, matching Samsung’s 4th Generation V-NAND which also features 64-layers and 512Gb density. Full production of the new BICS3 NAND is expected to begin in 2H2017.